While descending Highway 9 in the rain over the weekend, I spotted a car that had skidded off the road and over a steep embankment. I called 911 (as did another passerby), and after a short while, the first of several emergency vehicles arrived. It hadn't struck me as odd initially, but the car's lights were off when I initially spotted it. After a thorough search for people who might've been thrown from the vehicle, the firefighters determined that the car had been abandoned. 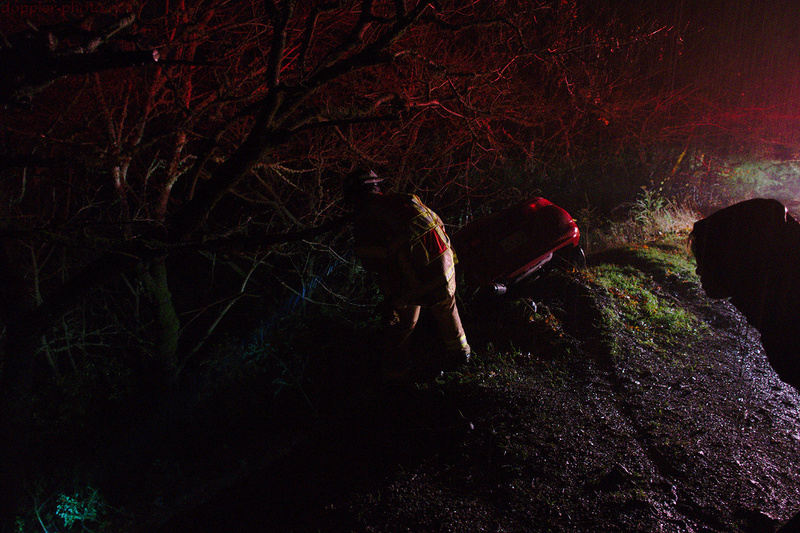 In the photo, L looks on as one of the first emergency personnel on the scene shines his light down the embankment. Right around when the first responders were finishing up their search, the rest of the cavalry began to arrive. 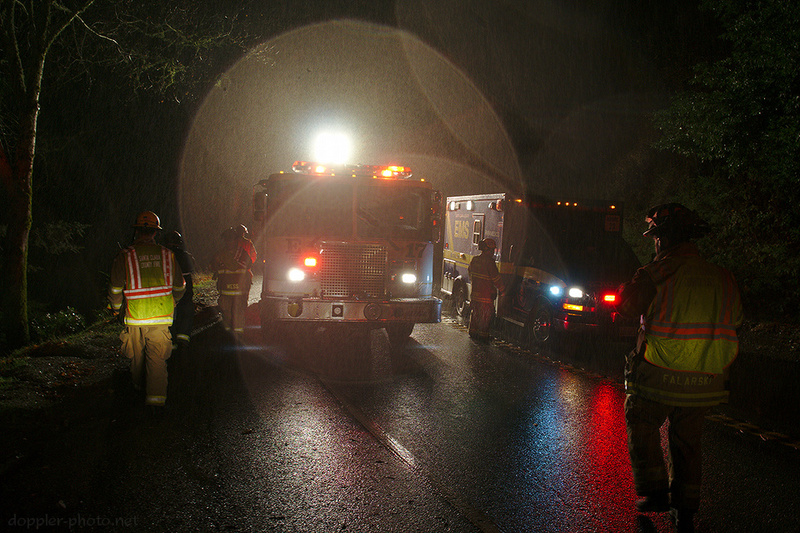 In the photo, one of the firefighters explains the situation to the recently-arrived ambulance as the other firefighters return to Engine 17 (near) and Rescue truck 17 (which has the large, flip-up light boom in the distance). Looks like a Mitsubishi Eclipse?